This pastel drawing depicts to sibling Siamese cats cuddled together showing brother and sisterly love. This drawing is framed and matted. 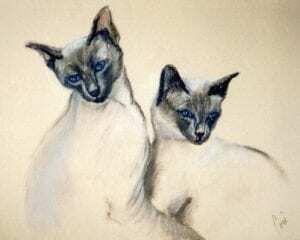 To order a signed and numbered Giclee of these Siamese Cats email Cori.